Each year, locals and visitors flock to the oceanfront as the Neptune Festival takes over the Virginia Beach boardwalk. This is a must-see event if you want to be inspired by the stunning sand sculptures, shop goods from hundreds of local vendors and watch athletes from around the region go head to head in sand soccer and beach volleyball. 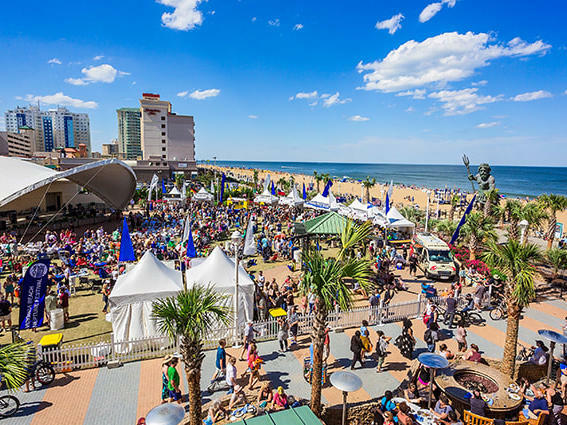 In its 46th year, the Neptune Festival offers the chance to discover local artists, indulge in delicious craft beers and enjoy free daily concerts from local and national artists along 32 blocks of the Virginia Beach boardwalk.